Supplying and manufacturing high quality uniform for some of the biggest businesses in the UK has made Tibard the UK’s leading workwear supplier. For forty years the name Tibard has been synonymous with quality uniforms and brilliant deals. With skilled embroidery experts and amazing commercial laundry services that maintain these clothes, everything is taken care of when you choose Tibard. We work with businesses around Sheffield and Doncaster, from small, independent contract caterers to large chain restaurants. Our well-made, useful garments, our excellent customer service and amazing prices make us one of the most popular uniform suppliers in the UK. We sell one of the most extensive ranges of workwear online, and our prices offer our customers some of the best value you can find which means if your business is interested in workwear in Sheffield, Doncaster and Barnsley then we know we can work with you. Our range covers specialist uniform and workwear items from every major industry which means that no matter what business you run, you can find great quality, low priced workwear at Tibard, all of which is delivered to your door. We operate a family run company that has been supplying uniforms to large businesses since 1979, and with this website, we can provide that same service to businesses of every size. Should you choose to make a substantial purchase through our website, you can be sure to save money through our bulk discounts and free delivery for orders over £50. The quickest and easiest way to get a uniform that shouts about your business to customers is by taking advantage of our online personalisation feature. This is perfect for businesses interested in workwear embroidery in Sheffield and Barnsley who wish to buy off the shelf workwear that carries their logo or contact details to promote themselves to new customers. If you want any more information about how Tibard can help your business, then please get in touch. As we manufacture and supply uniforms for restaurants, cafes, hotels and caterers all around Sheffield and Barnsley we’ve learned a little bit about the hospitality industry. Uniforms need to be professional and durable. 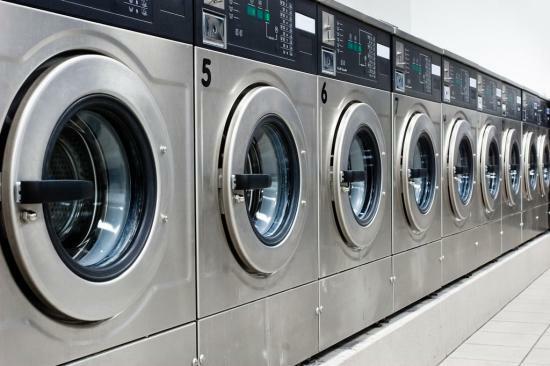 Furthermore, you need to have a laundry and a rental service that’s reliable during your busy period. That’s why at Tibard we’re happy to help you throughout your business’ journey, can’t find something on our website? Give our friendly customer service team a call, and we’ll see if we can help you out. Our innate understanding of how vital uniform is to both the hospitality industry and beyond means you’ve got one less thing to worry about when running your business. We eliminate all those little worries that can be associated with large orders of uniforms. Any business based in Sheffield, Barnsley, Penistone or Doncaster that is looking for a more personal touch with their uniform and workwear needs may wish to take advantage of one of our many uniforms services. These are specifically designed to be used by larger businesses or those who have many locations and need a tailor-made solution to best suit their needs. Our managed uniform service is a great way to avoid the nasty logistical problems of transporting and ordering a large number of uniforms regularly as we do all the hard work for you. If you need a uniform style or type that is unique to your business, then our uniform designers will work with you to create the perfect product which we will then manufacture in our UK based factory. Anything that you can think of regarding uniforms, Tibard can do, and there is no challenge too big or small, we love helping to make a difference with businesses.